The historic catch weighed in at a whopping 400 pounds. MOREHEAD CITY, N.C. – A 16-year-old hauled in a massive blue marling during the Big Rock Blue Marlin Tournament in Morehead City this week. According to a post on the tournament’s Facebook page, E.J. Nettles is believed to be the first junior angler to ever weigh in a blue marlin at the Big Rock Tournament. 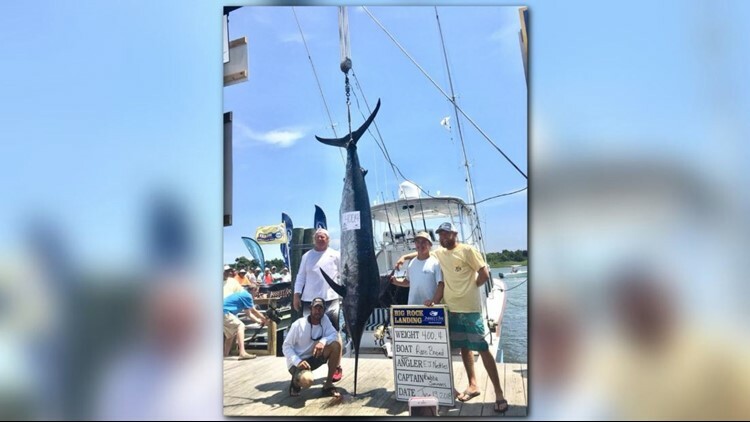 The massive fish tipped the scale at a whopping 400.4 pounds. To be eligible for the tournament, blue marlins must weigh a minimum of 400 pounds. The largest marlin reeled in through the tournament was 518 pounds, caught by the boat Honey Hush.